SeaMist Detox Bath - Got Stress? Stress goes down the drain! Our Most Popular Gift Sets! Traveler, Teacher, Neighbor, Coach, Hairdresser, Fundraisers. You know the damaging effects of stress both to mind and body. Now there is an easy solution. Let your stress go down the drain. It is possible. Guaranteed Results. Lavender essential oil will soothe you with powerful effects to relieve inflammation and promote relaxation. Lavender oil stimulates new cell growth. It lifts depression, calms nerves and promotes nerve health. Lavender oil fights infection, reduces inflammation and eases congestion. It relieves pain and muscle spasms. Lavender oil lowers blood pressure. Sweet Orange essential oil is will energize your senses. Ginger has historically been used to treat inflammation, which several scientific studies support. One arthritis trial showed ginger to be as effective as ibuprofen for treatment of osteoarthritis. Use SeaMistDetox Bath, to simply let stress go down the drain. You may feel more relaxed in both mind and body using our high quality sea salt. Useful for all types of skin problems Lavender oil stimulates new cell growth. It lifts depression, calms nerves and promotes nerve health. Lavender oil fights infection, reduces inflammation and eases congestion. It relieves pain and muscle spasms. Lavender oil lowers blood pressure. Soak 25 minutes in warm water, rinse, lie down,and enjoy the effects of renewal. Experience deep sleep. 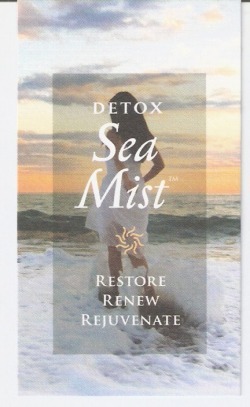 Give yourself the gift of Spa Renewal with SeaMist Detox bath soak from Pinson Cosmetics. 3/pkgs. 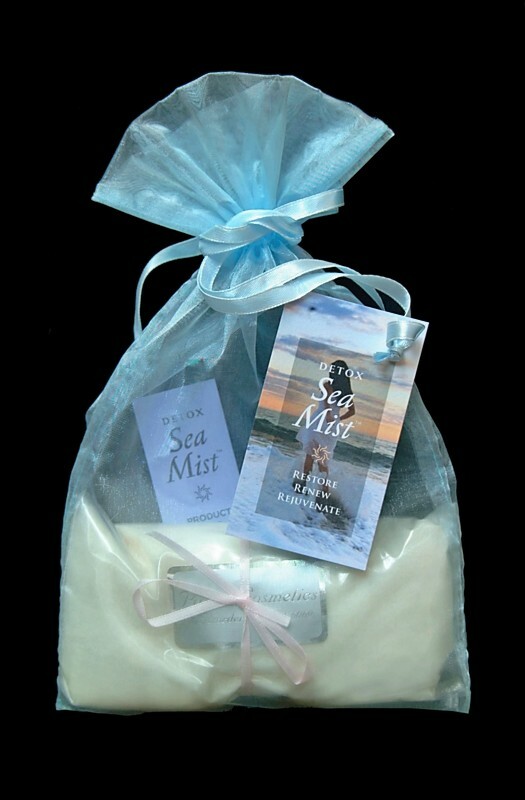 includes gift wrap and Lavender Sachet. One package per tub bath. Outer Beauty, Inner Balance. Order yours today. See our special companion product Lavender Sachet.